Experience brings the love and interest of oracle cards and creative journaling together into one workshop. 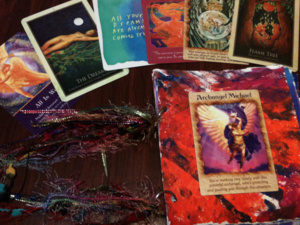 No oracle card or creative journaling experience necessary for this workshop! We will go through the process of pulling cards and creating your own special journal for these oracle card messages. Open to adults and older teens, 18+!